Jack Quist’s life story could be a fine source for country songwriters looking for inspiration. He was adopted as a 5-month-old into a family right here in Salt Lake City, and as the only child of the Quist household, he acquired a taste for the attention his parents showered upon him. Soon, he was performing for friends, neighbors and on school stages, eventually creating an alter ego as Jackson Cash a (perhaps) illegitimate son of Johnny Cash, and working his way to Branson, Mo., where he performs a show called “A Tribute to the Man in Black.” Quist is also an ex-con and recovering drug and alcohol addict, and he’s been married to and divorced from the same woman three times. See what I mean? The guy is a walking country tune. And on Thanksgiving night, he’s headlining Piper Down’s “Fight the Tryptophan Party” that also includes cheap shots of Wild Turkey and a spaghetti dinner, in case the gobbling guys aren’t your bag. Piper Down, 1492 S. State, 9 p.m. If you missed the City Weekly Beer Festival in September (and I’m pretty sure not many of you did, judging by the lines that filled the Washington Square grounds that lovely afternoon), you missed out on a ton of great music delivered by four Salt Lake City bands. 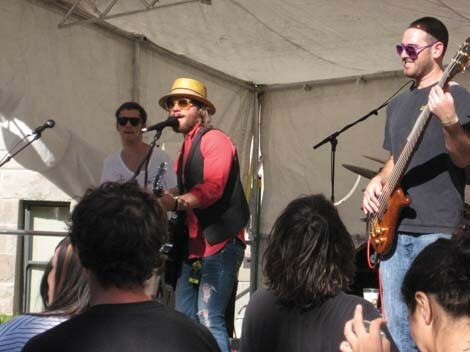 The surprise of the bunch to me was the Samuel Smith Band, a rootsy rock crew I hadn’t seen before that sunny day. I have seen the crew a couple times since, as they seem to play somewhere in the Salt Lake Valley each weekend. If you haven’t had the pleasure yet, this weekend is your chance; they’re headlining Friday at The Urban Lounge, and sharing a bill with Red Pete on Saturday at Bar Deluxe. The Urban Lounge, 241 S. 500 East, 9 p.m.; Bar Deluxe, 666 S. State, 9 p.m.
There’s something about seeing a band perform on its own turf. Seeing Willie Nelson throw down in a Texas honkytonk, for example, is not the same as seeing him at Red Butte Garden or Deer Valley. Perhaps the performers feel just that much more comfortable playing at home, or maybe the audience feels just that much more free to really cut loose. Whatever it is, there’s almost always a different vibe at a crew’s hometown gig than when they’re on the road. 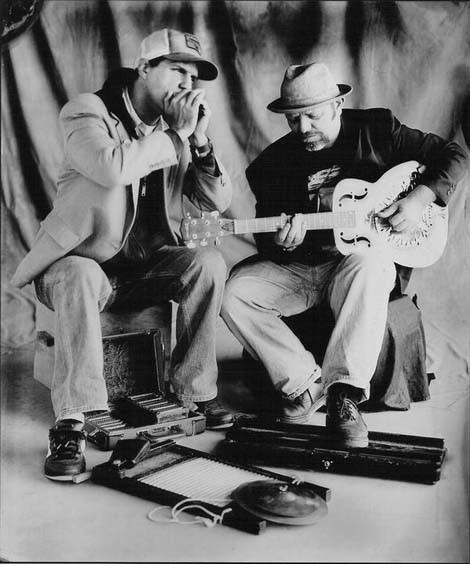 With that in mind, fans of the Legendary Porch Pounders have plenty of chances to see the dynamic blues duo of Dan Weldon and Bad Brad Wheeler along the Wasatch Front, but I’m betting seeing them throw down in Ogden’s pre-eminent live music venue, Brewski’s, is a whole different thing. You have a chance to check them out there on Friday, but if traveling north to O-town isn’t in your plan, they’re playing Saturday at the Hog Wallow, as well. 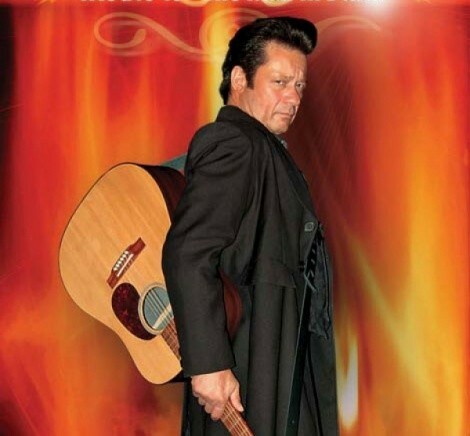 Brewski’s, 244 25th St., Ogden, 9 p.m.; Hog Wallow, 3200 E. Big Cottonwood Canyon, 9 p.m.
Tony Holiday of the Velvetones is getting ready to make a move to the Deep South after years working the Northern Utah live-music circuit, but before he goes, he’s staying busy delivering the potent bluesy guitar that people in the region have come to love. His background in rock, bluegrass and jazz informs his playing, but as he told City Weekly in a recent profile, once he found the blues, there was no going back. “Blues music has always spoken to me,” Holiday said. 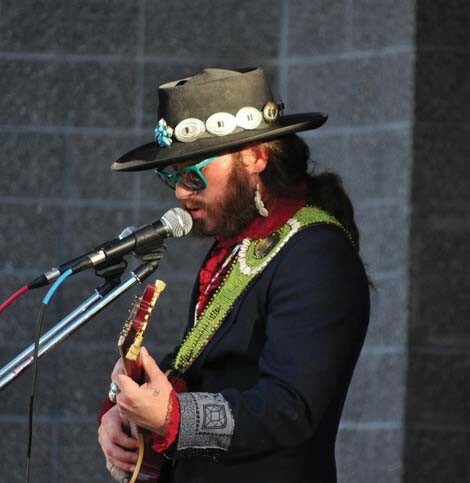 “No matter what I play, it comes out with a bluesy twang.” Holiday’s Velvetones are regulars at festivals like Desert Rocks and Uncle Uncanny’s, and in the clubs of Park City, Logan, Ogden, southern Idaho and western Wyoming. 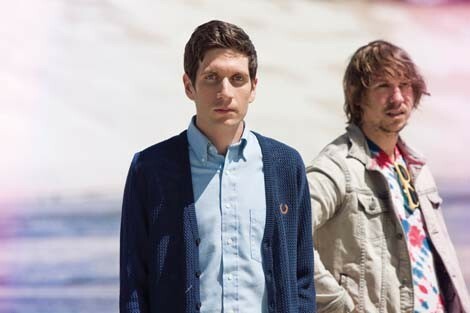 This weekend, you have the chance to see them right here in SLC. Hog Wallow, 3200 E. Big Cottonwood Canyon, 9 p.m.